If you grew up in the UK in the '80s it is likely you played a Dizzy game at one time or another. These budget titles by Codemasters were some of the best games that you could buy for your home computer. Like all good mascots Dizzy made the leap over to consoles too, and 1991 saw the release of The Fantastic Adventures of Dizzy on the NES. The egg-shaped protagonist was set to appear in a NES sequel and work began on Mystery World Dizzy in 1993, which was essentially a remake of the Fantasy World Dizzy game which appeared on home computers. However, financial difficulties at the time scuppered those plans. 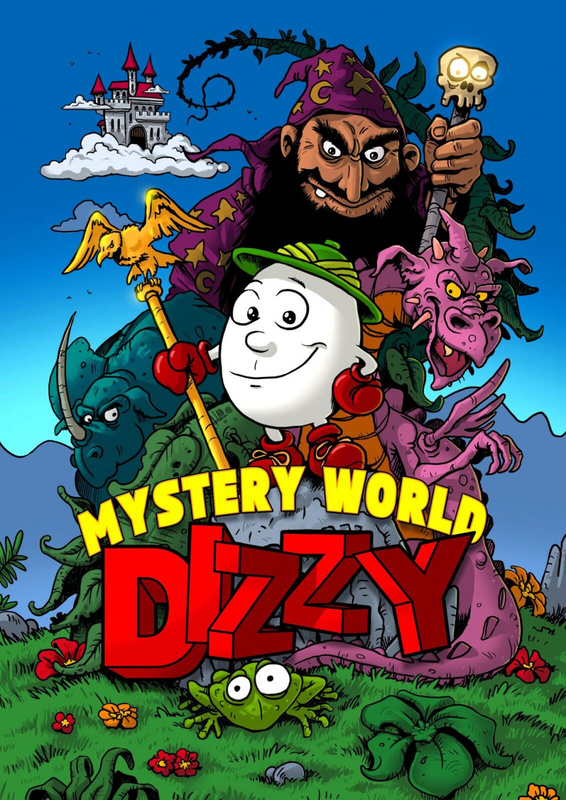 Fast forward to 2017 and Dizzy creators Phillip and Andrew Oliver (otherwise known as The Olivier Twins) have released the game to play for free on the Mystery World Dizzy website to celebrate Dizzy's 30th anniversary. A Kickstarter will also be launched soon which could see the game released as a physical NES cart, which will likely become very collectable if it comes to pass. All the proceeds of the Kickstarter will be shared between the NVA and Special Effect charity, so this is definitely a great cause to support. Have you tried out Mystery World Dizzy yet? Share your thoughts on the game and obligatory egg-themed puns with a comment below. I have extremely fond memories of Magicland Dizzy on C64, never played Fantasy World but would be very keen on backing a NES cart if the price is right. Played a number of other Dizzy games inc Treasure Island Dizzy (think the flying cheat was something along the lines of typing 'I can fly' if memory serves), they were awesome. Dizzy games. Now that takes me back. Played a couple on the Commodore 64. Fantasy World Dizzy was my fav. Still play it on homebrew on me DS sometimes. My villagers in New Leaf are all named after Yolkfolk. Had Fantasy World Dizzy on the Amstrad, loved it. Also sucked at it. If someone pitched me an idea for a game with an egg for the protagonist, I'd say their brain must be scrambled. Always appreciated these games for what they were; could never be bothered playing them because of how hard they were and how much trial and error was involved in figuring out what to do or where to go next. This game is exactly the same for me, but it looks nicely polished though. Real fans will surely have a blast. Dizzy games were over rated, very hard to control, boring story. Wow. This is an oldie . I love this game. This is a puzzler or is it a platform or is it an adventure or is it a .....What is it? I remember having the big blue box and red box versions of the Dizzy games on C64 when I was young. Used to love them. I would love to see dizzy on the switch! whos with me? Big Dizzy fan here. Loved all the C64 versions of Dizzy except the first and last (The Cartoon Adventure and Crystal Kingdom Dizzy). Like many, Fantasy World was my favourite (and first) Dizzy game. I backed the cart release of Dreamworld Pogie, so will definitely be picking this up, even though I did not enjoy Dizzy's console outings as much as his computer ones. I had a collection of these games on my Amiga 500. They were tough as nails at times and a bit frustrating in the controls department, but still a fond memory nonetheless. My local video store had The Fantastic Adventures of Dizzy on a plug through cartdridge. I played it a few times and enjoyed it, so hopefully Mystery World is just as good. As a USA gamer, i never encountered Dizzy until I picked up a used NES copy a couple years ago. It's style definitely reminds me of the types of games i played in the 80s on my Apple II and IIGS. The gameplay mechanics are dated these days, but i've had decent fun messing around with it. Only knew Dizzy from Quattro Adventure. This game is the result of touching fuzzy. I still have my Quatro cart, but would jump all over a new cart release in the west. I recently encountered this game series while browsing through random Long Plays of the NES versions on youtube. I played my fair share of 80's Apple II/GS games. So I have fond memories of this style of games. But I never play this game before. I tried it on the website and this game is really fun. It seems better than most game I remember. I would have loved this when I was younger. I am going to get a few hours of fun out of this one! @Fuz is that Clyde Radcliffe? Ahhh Dizzy. I still have fond memories of all the Dizzy games, especially Prince of the Yolkfolk. I'm loving all of these Oliver Twins' releases for the NES. Really cool guys, and so far this "trilogy" of lost titles has been superb (and that's counting Wonderland's hilarious glitch where you can in places apparently fly off the screen and die). Also, having only recently discovered the ZX Spectrum scene through these releases, I'd honestly love to see them go back to their roots and put out some titles for the Spectrum! Absolutely love Dizzy games. Fantastic Adventures on NES is great but I'd highly recommend Fantastic Dizzy on the Master System as the best overall version of that game (ditto Cosmic Spacehead vs Linus Spacehead). On the NES the Prince of the Yolkfolk port was really good, think it was called Dizzy the Adventurer, on Aladdin & possibly a pass-through (Quatro?). @Fuz Holy crap dude that's amazing! Serious kudos! @617Sqn Boring story? Dizzy games had no story to be boring. It was a collecting puzzle game series. Why would it need anything beyond a premise? 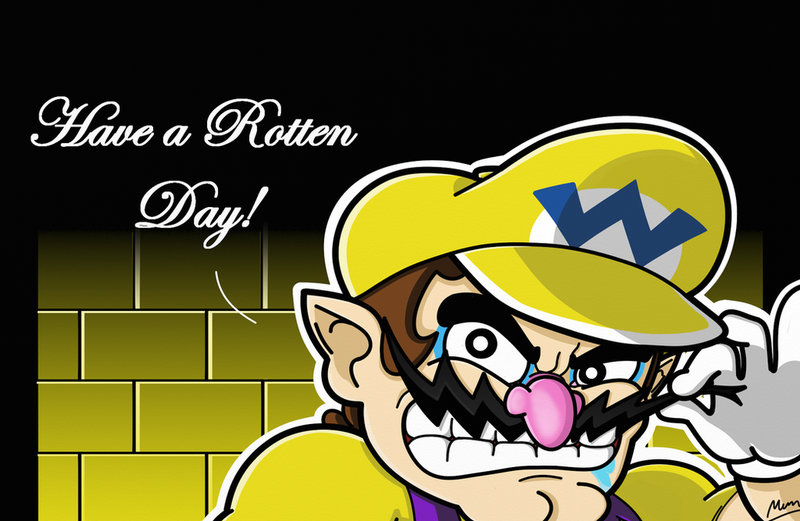 Id buy it on Virtual Console! Either system. Preferably 3DS. Not crazy about Virtual Console on Switch, but we'll see how it goes.